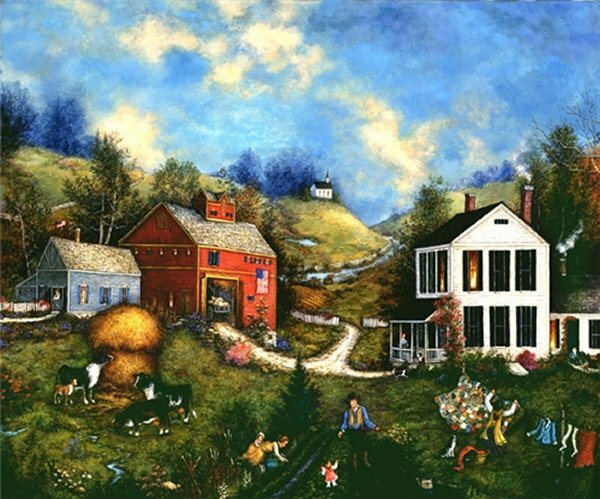 No Place Like Home by Linda Nelson Stocks ~ The beauty, the serenity and the security of "home and family" were the theme of this piece. The old white farmhouse, laundry drying in the breeze, family members gardening together, farm animals and an old red barn...what's more American than that? And in the background, hovering above the family is the church - a symbol of God's caring for America.